Prior to joining the M&A industry, Mr. Perron served small, middle-market, and large businesses in various capacities. He has been a consultant for small businesses as well as Fortune 500 companies, provided a range of accounting and financial services for clients at a regional CPA firm, and owned and operated a successful technology-oriented business in his past. Mr. Perron leverages his skills, experience, and passion for business to uncover the intangible value of his clients, and to represent that value to prospective buyers in the M&A market. He is a partner and advocate for his clients. 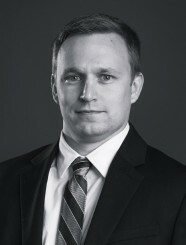 Mr. Perron has a Master of Accounting degree with an emphasis in Consulting from the University of Kansas.